The technique could help us find the youngest planets in our galaxy. We have lots of ways to detect planets orbiting stars other than our Sun. Some planets are close enough that we can see them just by looking at the night sky, while others are only detectable using powerful telescopes. Some we can’t see at all — we only know they exist through to indirect evidence. 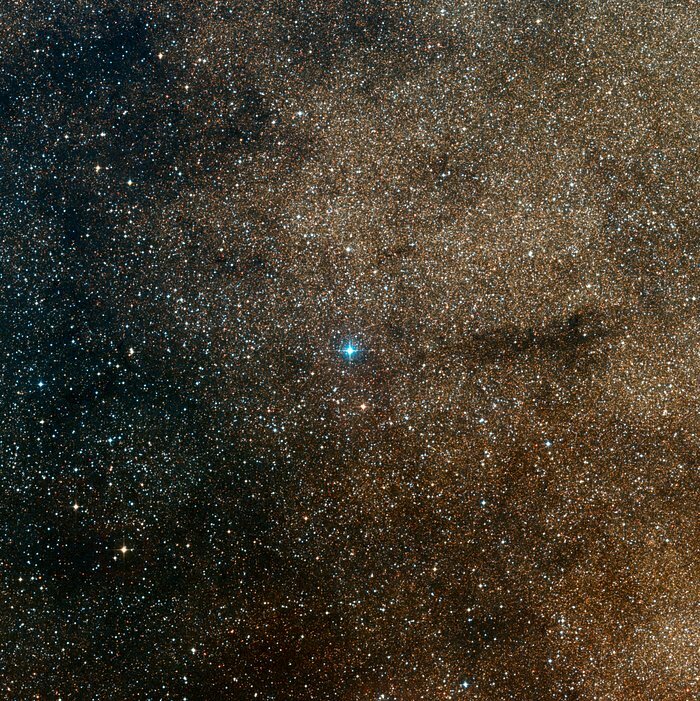 We may see dips in the brightness of a distant star that could indicate the passing of an orbiting planet or changes in a star’s color that could hint at the gravitational pull of one. Now, we have yet another way to find far-off planets: by looking for inconsistencies in gas flows around them. That’s how two teams of astronomers discovered three new planets orbiting HD 163296, a very young, 4-million-year-old star roughly 330 light-years from Earth. 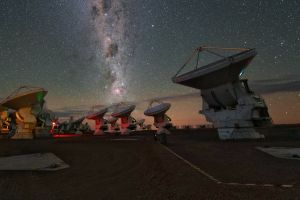 These planets are the first detected using the Atacama Large Millimeter/submillimeter Array (ALMA), the world’s most powerful telescope for observing molecular gas and dust. The researchers detailed their discoveries in two papers published Wednesday in the journal Astrophysical Journal Letters. Circling HD 163296 is a protoplanetary disc, a ring of gas and dust found around young stars. ALMA is able to capture highly detailed images of the carbon monoxide (CO) gas within this disc. By looking at subtle changes in the levels of that CO, researchers can figure out how the gas is moving. Inconsistencies in this motion could indicate the presence of a planet, even when researchers can’t actually see the planet. It’s like if you looked at a rock in a stream — the water flows around it. Make the rock invisible, and you’d still see the water flow disrupted. “Measuring the flow of gas within a protoplanetary disc gives us much more certainty that planets are present around a young star,” Christophe Pinte, lead author on one of the two papers, said in a European Southern Observatory (ESO) news release. Pine’s team discovered a planet an estimated 39 billion kilometers (24 million miles) from infant star HD 163296, while the other team, led by University of Michigan astronomer Richard Teague, located two planets roughly 12 billion and 21 billion kilometres (7.4 billion and 13 billion miles) from the star. The researchers estimate that all three planets have a mass about that of Jupiter. The two teams plan to apply their planet discovery technique to other protoplanetary discs. They believe they’ll be able to uncover the youngest planets in our galaxy, and observations of those planets could unveil new insights into the early formation of planetary systems such as our own. And with every new planet we discover, we increase our chances of finding what we’re really hoping to see when we gaze up at the night sky: signs of life.